Late last week, a 20-year-old Newark man was arrested after Delaware State Police found drugs and other items in his home. Police believe that Joshua Gaines, who lives in the 200 block of Smithmill Road, was selling marijuana and other substances after searching the home. Police began investigating Gaines after allegations began to surface that he was selling drugs from his home. Upon searching the residence, investigators claim to have found more than 10 grams of psilocybin mushrooms, five pounds of marijuana, 47 prescription drug pills (oxycodone), several weapons including a 12 gauge shotgun, AR-15 assault rifle, and sawed-off shotgun, and more than $2,000 in cash which authorities suspect is proceeds from the sale of drugs. Gaines is charged with possession of drug paraphernalia, possession of a destructive weapon, two counts of possession with intent to deliver a controlled substance in tier 2 quantity, two counts of possession of a deadly weapon by a person prohibited, possession of a controlled substance in a tier 2 quantity, and possession of a controlled substance without a prescription. After posting $10,200 bail, Gaines was released. Selling or distributing/delivering drugs is extremely serious. 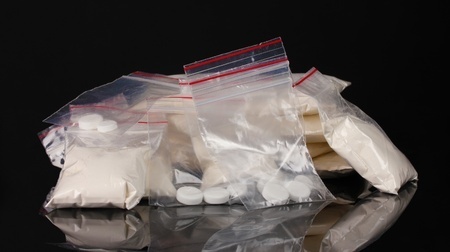 Across the country, criminal penalties are becoming harsher as lawmakers try to crack down on individuals and groups who traffic illicit substances. Anyone who is charged with the possession, manufacture, or distribution of drugs such as prescription pills, cocaine, heroin, psychedelic mushrooms, methamphetamine, or other illegal drugs will face life-changing consequences if convicted. While the penalties differ from one state to another, most offenders will face substantial fines, jail/prison time, and a permanent criminal record. In the state of Michigan the penalties someone will face if found guilty of distributing drugs will depend on several factors including the individual’s criminal history, type and amount of drug involved, where the alleged offense occurred, and more. If you have been arrested or are under investigation for any drug offense, contact a highly qualified Michigan drug crimes attorney immediately. You have legal rights that must be protected; your lawyer will work vigorously to keep you out of jail, and obtain the best possible result in your case.